The sounds from Gongs are both meditative and mysterious. They are widely used in meditation and sound therapy/healing sessions. Using different mallets and pressures can create an array of tones. 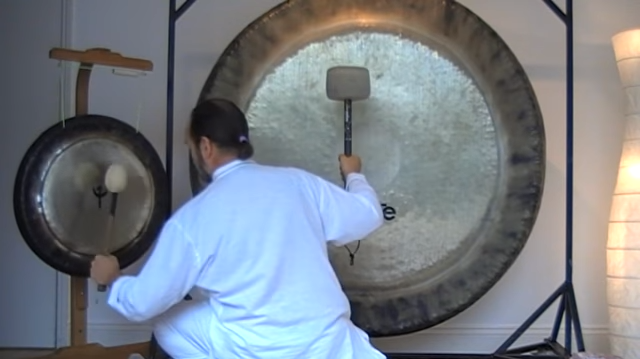 The following video features the amazing 60″ Paste Symphonic Gong. Be sure to sit comfortably.